Revive Inc. is a non-profit in Hastings, Nebraska, that offers services that address drugs, alcohol, sexual addictions, eating disorders, anger issues, co-dependency, gambling, and mental health recovery. They needed a site to better communicate what they do and to encourage the community to use and support their ministry. 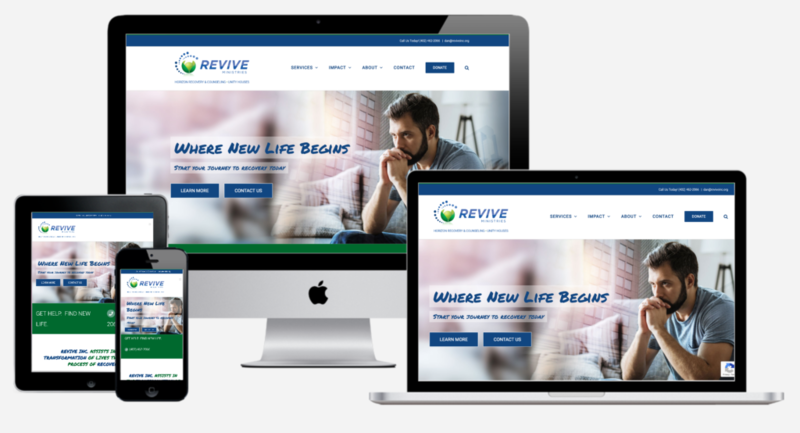 Their new website is mobile-friendly and easy to update with the latest news, events, information and classes occuring at Revive. The website also makes it easier for those who may need their services to contact Revive and get enrolled in a program towards recovery.